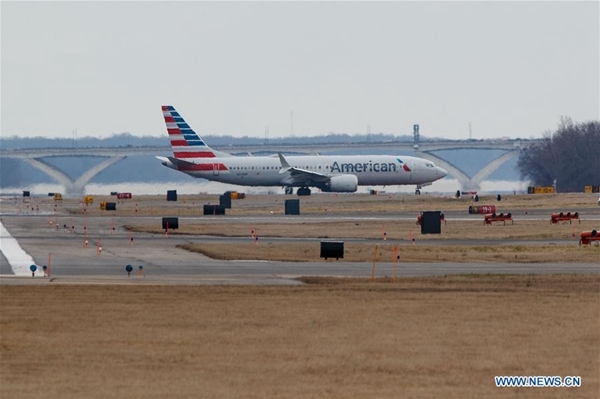 China has decided to accept the invitation to join the U.S. Federal Aviation Administration's (FAA) review panel on the automated flight control system of the Boeing 737 MAX, said the country's top aviation regulator on Tuesday. China was the first country to ground Boeing 737 MAX 8 jets following the Ethiopian Airlines crash on March 10, which killed all 157 people on board. All 96 Boeing 737 MAX 8 aircraft operated by Chinese airlines remain grounded. In October, a 737 MAX 8 operated by Indonesian budget carrier Lion Air crashed 13 minutes after take-off from the Indonesian capital of Jakarta on a domestic flight, killing all 189 on board. Last week, the FAA said it would establish a "Joint Authorities Technical Review Group" to evaluate the safety of the aircraft.